The Scrappy Bee Beehive Express has gone live! Being busy with everything the last few weeks, I didn’t have time to do a mini kit this time. 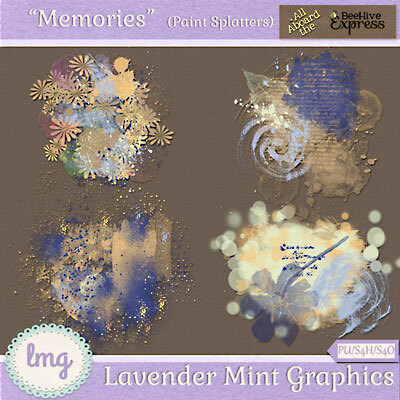 But, paint splatters is something I’ve been wanting to try. These might be more “paint clumps” lol, but I like them!! I hope you do, too. Put them on plain paper, lower the opacity and/or try playing around with the blending modes to get a look you like. Below is my part and be sure to visit the other stops, get their parts, and leave some love! Hope you enjoy them, Marcia! Love the paints — they are so pretty! Thank you for sharing them!! They are just gorgeous!! Thank you so much for sharing!!! Hope you enjoy them, Magda!